You can access a broad range of electronic healthcare information resources, both free and subscription only. You can access most of them from anywhere with internet access whether at home, from your clinics or the library. You need an NHS OpenAthens account to access many of these. To register for an NHS OpenAthens account, fill in the online registration form. You'll need your NHS email address or to be on an NHS computer and to know the name of your NHS employer. Once you have submitted the form, you will receive an email with a link to activate your account and set up your password. If you do it from an NHS computer the process is a lot quicker than if you do it from another computer (up to 15 days). 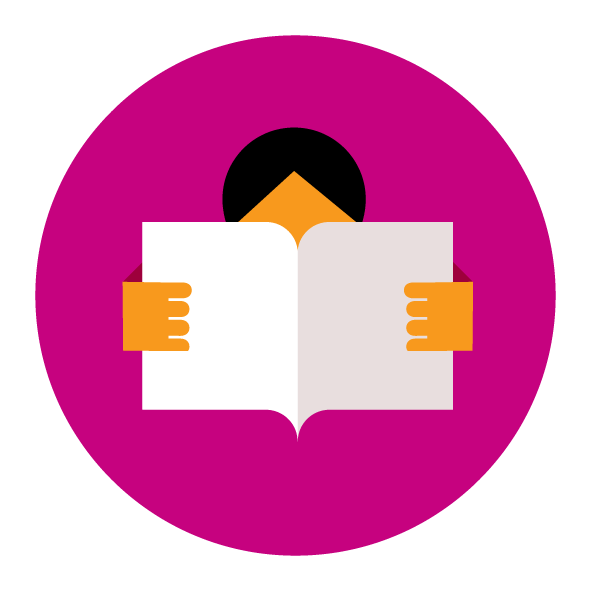 We work together with all the London health libraries to provide you with access to high quality resources, to support your clinical practice, patient care, continuing professional development (CPD), all your healthcare needs and more. Access to these resources can be found via Health Information for London Online (HILO) (opens in a new window) and/or via the pages below. Please download the Apps available to you [pdf] 254KB document to see what apps are available to you via the Library Services. Click on the logos of the various apps to download them via Google Play or iTunes. We now have a collection of well being digital audio books and electronic fiction books available via the BorrowBox app. BorrowBox allows you to download eAudio books and ebooks. This service is available on a tablet, smartphone or web browser such as Chrome, Firefox, Opera, Safari or Internet Explorer. You will need your reader membership code and password to access the collection. Contact either library: esth.hirsonlibrary@nhs.net or esth.libraryepsom@nhs.net for these details. Tablets: iPad, iPod touch, Kindle Fire, Nexus, Hudl or any other tablet using Android. Instructions for downloading the Borrow Box app are available Setting up Borrow Box on your device [pdf] 200KB . BMJ Best Practice is a trusted clinical decision support tool which provides healthcare professionals with access to the latest relevant clinical information when making diagnosis and treatment decisions. BMJ case reports (opens in a new window) is the largest online repository containing over 3,000 published medical case reports from authors based in more than 70 countries. All submissions to BMJ Case Reports undergo a rapid peer review process and any articles that are accepted for publication are copy edited before publication ensuring that both accuracy and consistency are maintained. All the BMJ case reports (opens in a new window) can be accessed with an Epsom and St Helier OpenAthens username and password. To submit a case report please contact Marisa or Potenza at esth.hirsonlibrary@nhs.net to request the Epsom and St Helier fellowship code. Cochrane clinical answers (opens in a new window) (CCA) covers 32 clinical specialties and provide a clinically focused entry point to meticulous and diligent research from Cochrane systematic reviews.They are designed to help clinicians with their decision making process at the point of care. Cochrane clinical answers are presented in a question and answer format and are directly linked to the review. Cochrane clinical answers have been developed by Cochrane Innovations Ltd. and Wiley Online Library. For more information, and how to search the Cochrane clinical answers website effectively, see the CCA user guide [pdf] 2MB. Cochrane Library (opens in a new window) is a collection of six databases of reliable evidence on the effectiveness of healthcare interventions. It is regarded as the best resource available of this type. The Cochrane Library is put together by the Cochrane Collaboration, the NHS Centre for Reviews and Dissemination and other related organisations and is updated quarterly. There is also a seventh database that provides information about the various Cochrane Groups. You do not need an Athens username and password to use this resource. If you would like training on how to effectively search the Cochrane Library please contact the library at hirsonlibrary@esth.nhs.uk. e-Learning for Healthcare is a Health Education England Programme working in partnership with the NHS and professional bodies to support patient care by providing e-learning to educate and train the health and social care workforce. There are over 150 e-learning programmes available including emergency medicine, end of life care and prescribing. The programmes contain ‘real-life’ scenarios, case studies and ‘knowledge bites’. Interactivity is built into the programmes by using quality images, audio, animation and video. You will need an Epsom and St Helier OpenAthens account to access this resource. Access e-Learning for Healthcare (opens in a new window). You can access the electronic journals available to you via the My journals (opens in a new window) page or via the BrowZine Journal Library (NHS OpenAthens username and password required). To request photocopies of articles from journals not available, please fill in the online article request form. The Library ran a one month trial of the Thieme electronic books library in December 2016. Find out more by reading the Thieme Trial Report [pdf] 263KB. The following healthcare databases (opens in a new window) are available through NHS OpenAthens and Evidence Search Resources (NHS OpenAthens username and password required). Links to full-text articles are provided where available. You can email the library staff at the Hirson Library, St Helier Hospital or at the Sally Howell Library, Epsom Hospital to request any other full-text reference you would like to obtain. The IT Skills Pathway provides all NHS staff and students on placement free access to online IT learning material to improve digital literacy skills. All competency levels are catered for, example courses include Level 1 Microsoft Word 2010 and Level 1 Microsoft PowerPoint. To access the learning material please register using your NHS email address and your employee number. Please note: The learning materials use Flash and only work on Internet Explorer. OnExamination is produced by the BMJ Learning. A leading provider of online exam revision resources it provides exam revision resources, self assesment modules and clinical video tutorials. If you are interested in obtaining a two-month voucher from the library, please contact the Library Team by email at esth.hirsonlibrary@nhs.net or call 020 8296 2430. Links to searchable globally available repositories of free, high quality, open access, peer-reviewed, full-text journal articles. You do not need any passwords to access this content. Directory of Open Access Journals: contains over 12,000 full text articles in a number of fields including medicine. Free Medical Journals: promotes free access to medical journals by providing a list of the top open access medical journals by impact factor, topic, level of free access availability e.g. immediately, after 1-6 months etc and by title. Multiple languages available. Links to search the journal articles are via either PubMed, PubMed Central or the individual journal interface. PubMed Central: contains over five million full text biomedical and life sciences articles. Webmed Central: a collection of open access biomedical articles. All submitted articles are published immediately and peer review takes place post publication. Searches can be restricted to peer review articles only. PsycARTICLES (opens in a new window) is a well renowned database of full-text articles from journals published by the American Psychological Association, the APA Educational Publishing Foundation, the Canadian Psychological Association, and Hogrefe & Huber. The database is updated weekly, with current coverage included. Many of the titles date back to 1894. This resource includes subjects such as applied psychology, communication systems, personality, psychometrics and statistics. Searching the database is very intuitive, either by browsing the journal titles directly or by using keywords that may occur in the article title, abstract, or the full-text. You will need an Epsom and St Helier OpenAthens account to access this resource. Mendeley (opens in a new window) is a free reference management software package, which enables you to manage and share references, work with PDFs and compile bibliographies on any device. You can create a fully searchable library and cite as you write. The desktop version of Mendeley is available on all of the library PCs. The Library has recently via a Library Certification Programme gained free access to the enhanced version of Mendeley via an upgrade link. This subscription is available for Epsom and St Helier staff who require an enhanced version of this reference management tool. You can benefit from the above mentioned advantages, if you authenticate yourself as a member of ESTH with your ESTH NHS email address when creating your Mendeley account. Contact the library team via esth.hirsonlibrary@nhs.net to receive one of the upgrade links if you feel that you need an enhanced version of Mendeley. Please see the library training sessions page for details of training sessions provided by the Library Service and to download a bespoke training guide. In addition please see the help guides, which include video tutorials provided by Mendeley. Zotero (opens in a new window) is another open source reference manager. It automatically senses content in your web browser and allows you to store images, PDFs, video files and other file types. You can build up your own personal library in minutes. Free: the Health Knowledge (opens in a new window) webpages on the Public Health Action Support Team CIC (PHAST) website include the course finding and appraising the evidence with six modules. Critical Appraisal online (opens in a new window) offers discounts to access the online course for groups. The access for all the users will start and finish at the same time. Please ask at the library if you are interested. Free: CASP (critical appraisal skills programme) (opens in a new window) offers eight critical appraisal checklists, including checklists for: systematic reviews, randomised controlled trials, cohort studies, case control studies, economic evaluations, diagnostic studies, qualitative studies and clinical prediction rule. Free: the CEBM website (opens in a new window) includes checklists for systematic reviews and meta analysis, single randomised controlled trials, studies of diagnosis and studies of prognosis. Free: the CATmaker (opens in a new window) software helps you to create critical appraisal topics starting from your clinical question to the presentation of the results. It includes access to online critical appraisal guides and calculators. Free: BestBets (opens in a new window) includes worksheets for different studies including: case-control checklist (including harm), cohort, decision rule, diagnosis, economic, educational interventions, guidelines, prognosis, qualitative, randomised control trials, review or meta-analysis, screening and surveys (including pre-test probabilities). Free: the Bandolier glossary (opens in a new window) includes definitions to statistical concepts used and links to further resources. How to Read a Paper : The Basics of Evidence-based Medicine (opens in a new window) (Epsom and St Helier University Hospitals NHS Trust OpenAthens account required). Produced by the Social Care Institute for Excellence, this free database contains information and research covering all aspects of social care and social work. Key features include a Google-type standard search, advanced search option and email alerts system. It is very useful for sourcing hard to find resources in the social care and public health field. Social Care Online includes legislation, UK grey (informally-published) literature, books, text books and journal articles. The database is updated daily and contains around 155,000 records from the 1980s onwards. Turning researching into practice (Trip Pro) (opens in a new window) is a clinical search engine which has been online since 1997. It has been designed to help people to find high-quality research evidence to support their practice and/or care quickly. Trip allows users to not only research evidence but search across various content types including patient information leaflets, educational courses, images and videos. Links to more than 400,000 references. To access UpToDate you will need an OpenAthens account. All Epsom and St Helier hospitals staff can access UpToDate anywhere using the mobile application. Click on the Portal Manager from any PC within the hospitals and click on the UpToDate link. As shown below, click on the Register Now icon below the search box or click on the Log in / Register link in the upper right hand corner. Fill in the registration form that appears. Once you have registered for UpToDate Anywhere you need to download the UpToDate app from the App store or Google Play onto your mobile device. Once downloaded, please sign in to UpToDate Anywhere using the registration details you set up in step 2. Please note you need 1.1GB of space for both topics and graphics and 400MB space for topics only. Please contact the library team at esth.hirsonlibrary@nhs.net if you have any queries about this resource. The Virtual Faculty Collection (opens in a new window) consists of both electronic books and journals. It has been designed to support the work of all clinical trainers, teachers and supervisors in London. Access to key journals and electronic books including the following. You will need an Epsom and St Helier OpenAthens account (opens in a new window) including username and password to access the journals. Key electronic books included in this collection are as follows. You will need an Epsom and St Helier OpenAthens account (opens in a new window) including username and password to access all these books.